So how do I go about explaining a two year old touchscreen experience for those who’ve somehow tumbled into this assembly of words? Here’s hoping not BAD(LAND)ly… … …wrong crowd? Muse with me now that perhaps you’re in a scenario where your mobile device is far from smart nor do you care much for feverish fingertip fads. You may even have strict gaming preferences tending to bar everything unless the Y, X, B, A layout fits the Nintendo criteria. If so, you could quite possibly have absolutely no idea about Frogmind Games‘ somewhat sadistic flap-a-thon. Would you like to know more? The time has come to read on. During my playtime with this title I almost instantaneously failed at deflecting comparisons such as the romantically stark stylised punishment of Playdead’s LIMBO, or seeing it cousin mechanics from the late 2013 mobile fix Flappy Bird. Also the necessity of the sacrificing-the-many-to-save-the-few puzzling akin to the age old classic Lemmings or Hothead Games’ 2011 Swarm. If any of what I’ve just spluttered out aids toward a nod of recognition BADLAND should start to make some sort of sense now. You control Clony a fuzzy plump silhouette with tiny wings. This can be done either with the GamePad’s touchscreen or alternatively to buck how the game was designed with the other face buttons. You must tap (and or hold) to flap Clony from an A to B bolstered with horrific hazards perused by the impending lefthand side of the screen. Each level will require timely reflexes with even quicker problem solving to avoid Clony’s widened white eyes of terror caused by the relentless choking blackness! Yup, you guessed it, Clony is going to die time and time again as your muscles adapt and brain plays catchup. All worthwhile lessons to absorb for that no mistakes replay. Proof of why you shouldn’t get too attached to your Clonies! Being an advocate for Indie development (or is it #Nindie now?) it pleases me to see the Wii U bulking its eShop library even with the adopted tortoise over hare approach. My only worry is this title (like my review) is little late to the party for the already indoctrinated. 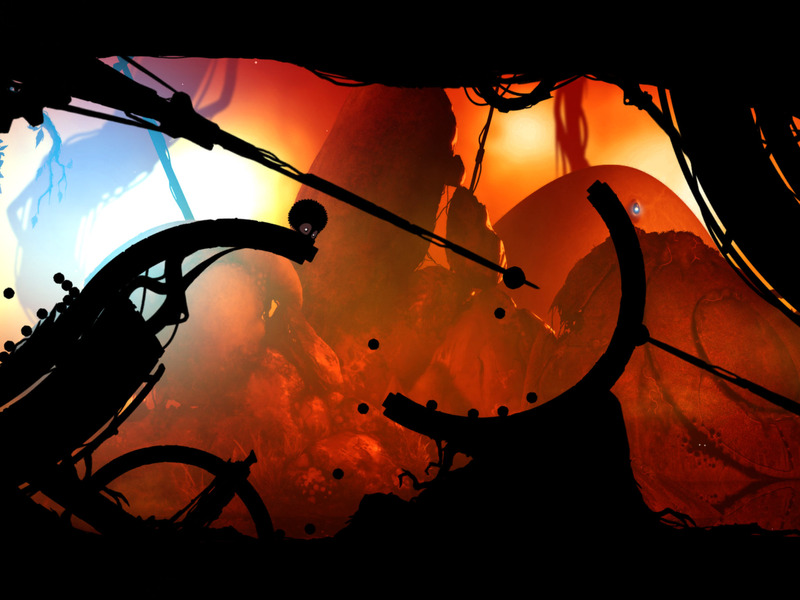 However, casting the gloom aside, if you’ve yet to pickup BADLAND: Game of the Year Edition or even better have never tussled with a game which embodies the tap to flap mechanic. There’s some drama to be had in witnessing a horde of panicked silhouettes inevitably perishing en masse all whilst clinging to the hope that you have just enough skill to guide one to the exit pipe unscathed! 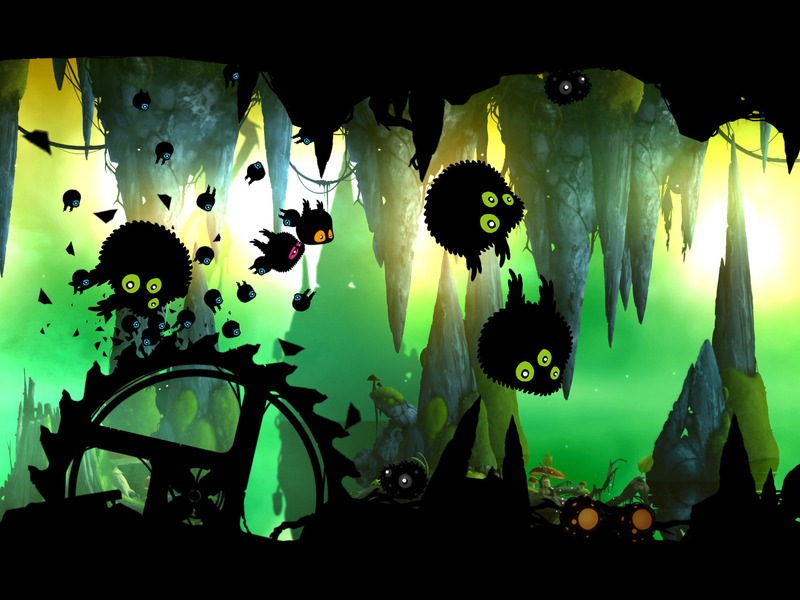 BADLAND: Game of the Year Edition is out now worldwide. This Nintendo Scene Review wouldn’t have been possible without a press copy kindly provided courtesy of Frogmind Games.